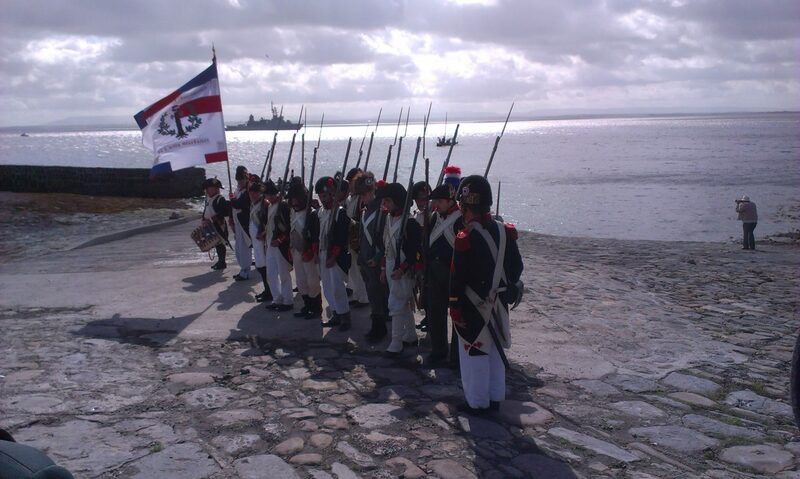 The landings of the French army under General Humbert in Killala Bay in 1798 were re-enacted at Kilcummin Pier on Saturday, August 17, as part of the In Humbert’s Footsteps festival. Video link here. 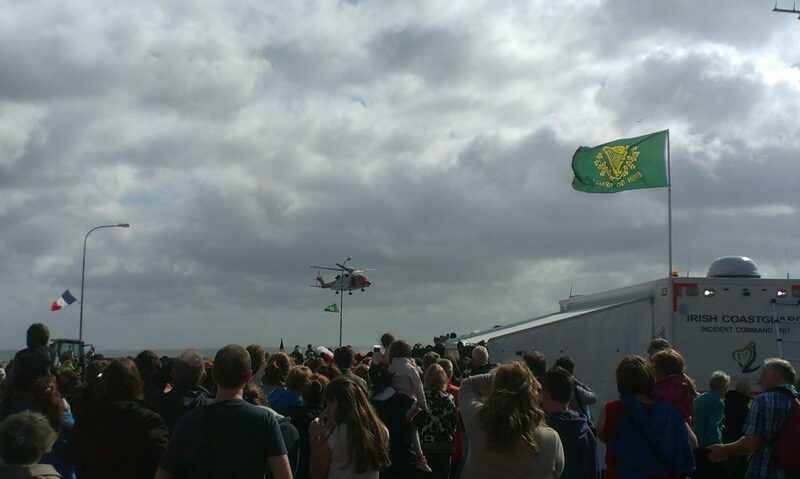 A big crowd turned out to watch French and Irish battle re-enactors and the dramatic delivery of an Erin Go Bragh flag by an Irish Coastguard helicopter and rescue boat. 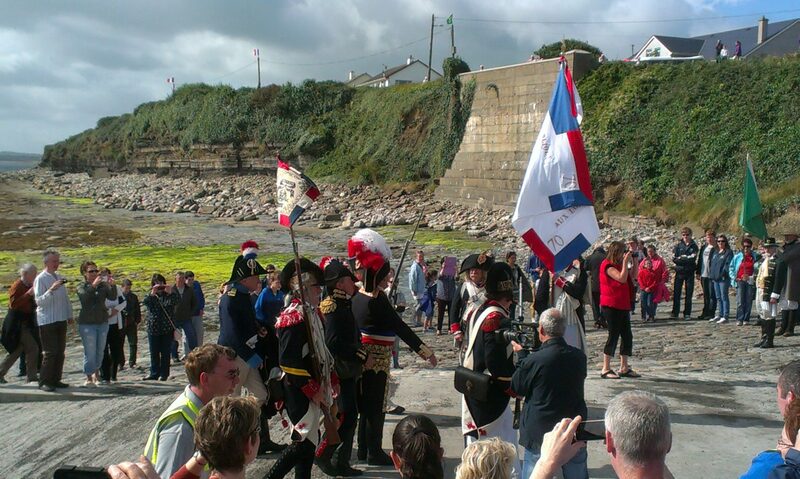 The French and Irish later battled the English forces on the streets of Killala in a thrilling and deafening battle.